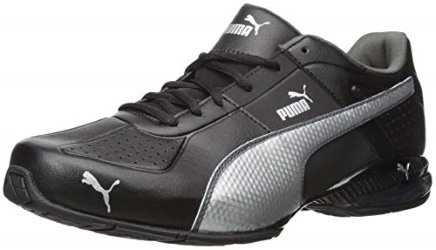 Puma has been a front-runner in the footwear industry since its inception in the year 1924. It has certainly made its mark and is known for its innovative and stylish shoes. It manufactures some of the best shoes that continue to benefit several pro and novice runners. Puma makes use of the cutting-edge technologies to make the running experience enjoyable and delightful. This German company’s wide range of shoes are designed to be pocket-friendly and continue to benefit runners. What Do Puma Running Shoes Have To Offer? 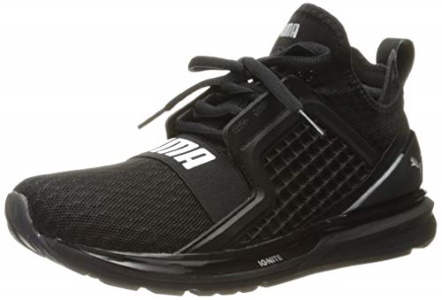 Training and light running become more effective with this Puma shoe. The shoe is lightweight, comfortable, and low drop. It also has a snug fit and provides adequate breathability. The upper is made up of mesh and has synthetic overlays to ensure a perfect fit. Also the shoe has an injection molded EVA for optimal cushioning and a smooth ride. The high-quality synthetic leather material used in the manufacture of this shoe makes it very durable. This shoe’s padded interior gives the runner the required support and stability while running. Also it comes with a reasonable price tag and is not recommended for long runs, however it can be used for low-impact training. 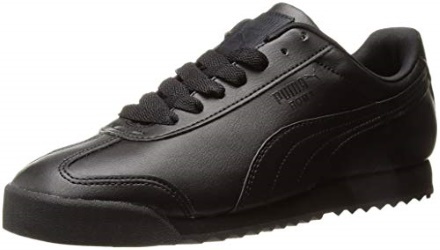 This Puma running shoe can be used for training and also as a casual wear. It is an excellent shoe for a runner who is looking for a versatile shoe. This shoe lets you select from classic and stylish tones. However, you’d find them ideal only for lightweight workouts such as cross training, light runs and fitness classes. Most runners use this shoe as a stylish accessory. Runners also lauded the comfort provided by this shoe and the fact that it was made from durable materials such as abrasive rubber on the outsole and the 4-way ariaprene stretchable upper material. This Puma running shoe comes in different colors. The shoe is lightweight and has a mesh design that offers breathability. The EVA insole offers extra cushioning. This shoe made from EverRide and EverTrack abrasion rubber outsole is very durable. Also this running shoe is stylish and ideal for the track. This Puma running shoe is the kind of shoe that every runner needs due to its ability to provide maximum comfort and support. The shoe has an extra-large collar height that gives it elegance. The breathable mesh material to allows for breathability, while the insoles are padded for support and comfort. 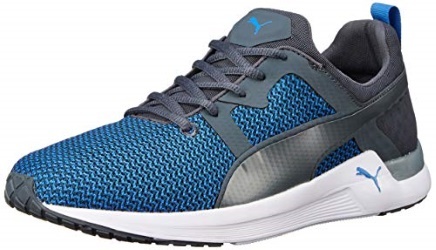 This Puma running shoe’s outsole uses the company’s Evertrack technology and that ensures durability. The flex grooves on the outsole also provide good traction on the track. The mid-sole’s foam provides extra cushioning while still keeping it lightweight. The shoe’s upper part is made up of igniting mesh material that allows the tongue to be breathable. 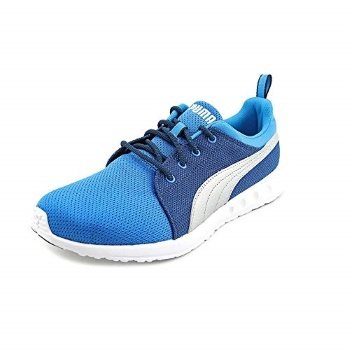 Casual runners that run indoors, on treadmills or in the gym can use these Puma running shoes. These shoes are best suited to be used indoor for the gym rather than on the roads. The 10-CELL cushioning on its mid-sole’s heel and the extra padding provides comfort and support. The rubber outsole of this shoe ensures durability, while the EcoOrtholite sock liner provides enhanced cushioning. Also the upper’s faux leather’s perforations on the rear and forefoot areas provide for breathability. The shoe is lightweight and is extremely suitable for those everyday runs. 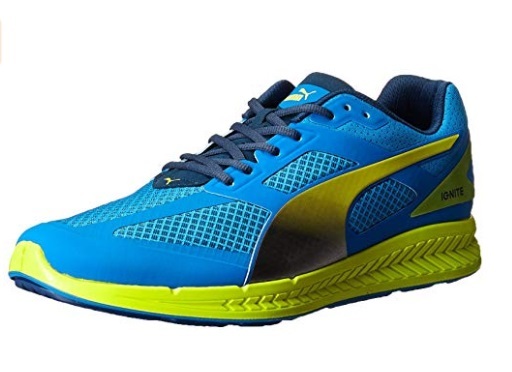 This Puma running shoe is quite popular among runners. It is stylish and flexible, and is made of a synthetic and leather upper. The shoe features EVA heels for comfort while running and is extremely comfortable. It is also lightweight and the foot-bed offers ample support. Consequently, this running shoe is most suitable for runners looking for comfortable and stylish shoes within an affordable price range. 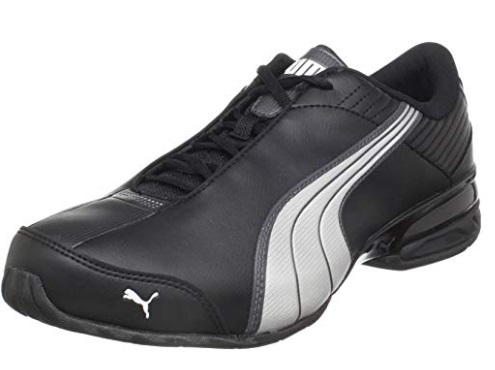 This Puma shoe is ideal for short distance running and field activities. However, most customers pick the shoe as a daily casual wear shoe. Best for the occasional runs, the shoe is both stylish and comfortable. The rubber outsole provides ample traction. The mid-foot gets decent arch support from the mid-sole that has EVA foam for extra cushioning. The upper is made of faux leather that is easy to clean. Another favorite feature of most runners is that the shoe is lightweight and very good-looking. 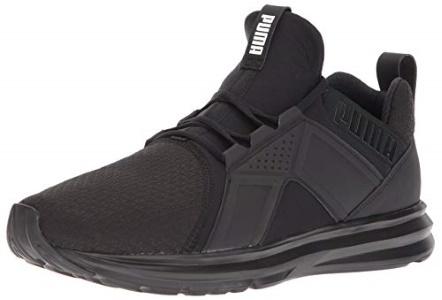 This Puma running shoe is available for both men and women. With the functional features loaded in it, you can expect the best run. Also the outsole has flex grooves that give the shoe flexibility and great cushioning. This shoe also has a breathable ecoOrtholite sock liner that allows your feet to remain dry and comfortable. It also has enough room to accommodate natural toe movement. This shoe is very appealing and as a result most runners claim to have received many compliments for it. Also these shoes do not have laces and its slip-on feature makes the shoe easy to wear. Two brothers from a small town in Germany started the Puma brand out there. The big break for this brand came in the year 1936 when one of their running shoes graced the Olympics held in Berlin. The two brothers had convinced Jesse Owens to wear one of their shoes and the US Sprinter went on to win four gold medals. As a result, this event caused the popularity of this brand to grow by leaps and bounds. Finally, the brothers parted ways and one of them went on to start yet another running shoe company called Adidas. Thereafter, the Puma factory led by Rudolf Dassler and the Adidas factory led by his brother Adolf Dassler have continued to dominate the footwear industry. Although the two brothers originally started Puma together, the two have been bitter rivals ever since the split. Puma is one of the most popular footwear brands and its running shoes are known to enhance performance on the trail. So if you are a new runner, you might wonder what sets this brand apart from the rest. The answer to that is quite simple, Puma offers a wide range of running shoes that cater to the needs of both pro and casual runners. Also, there are several other benefits that come with a Puma shoe. Value for your money – One of the biggest advantages of Puma shoes that most elite runners confess is that it brings value for money. You will get a running shoe made from high-quality materials and one that has a quality design. As a result, this guarantees performance and durability. 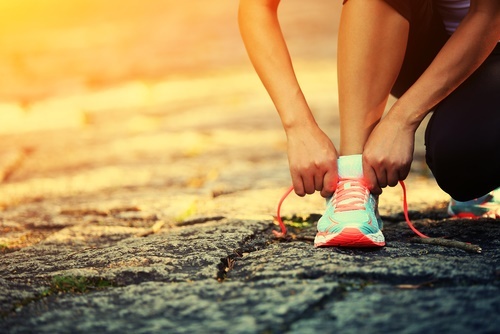 Ample support when running – Most runners confess that finding a running shoe with the right support can be a daunting task. For every runner, ample support and cushioning are essential. More so, for those who plan to run long distances. Most Puma shoes are known to offer the right support and cushioning for runners. Breathability of the running shoes – Puma develops running shoes with the view to keep the runners’ feet cool during the runs. 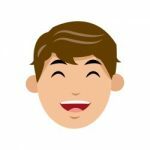 Whether you select the tightly woven fabric shoe, or the one made from synthetic mesh, you are sure to find a shoe whose upper has the right breathability. Footwear technologies that enhance performance – Puma uses the best-known technologies to manufacture their running shoes. Some of the innovations used in the manufacture of the running shoes include EVERFIT technology, FAAS FOAM midsole, IGNITE Foam midsole, AIRmesh upper and EVERTRACK+outsole among others. Most of these technologies are exclusive to the Puma brand and they offer runners comfort, support, performance and protection on the track. 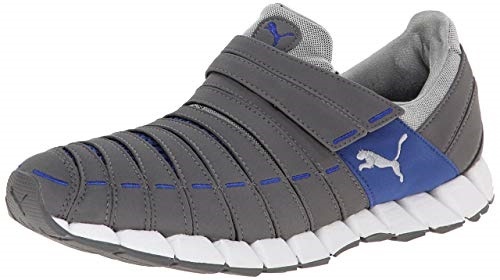 Great performance from a Puma running pair – Puma develops running shoes in a manner by which they can sustain shock and impact from different terrains. That includes rocky and uneven terrains, slippery and muddy terrains, grassy areas, sandy shores among others. The shoes are also designed to offer the best performance while running or performance training. Fashionable and stylish shoes – You will admit that Puma has some of the best-looking running shoes. While performance, support and durability are important factors, Puma also knows that runners like to have fashionable shoes on their feet. This is why the brand comes up with aesthetically pleasing designs. 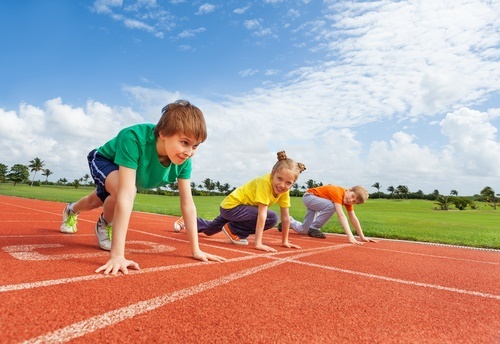 Some of their shoes can be used on the track and even worn as casual wear. From the list above, it is obvious that Puma takes the development of their running shoes very seriously. However, remember to take a personal guide with you when you go shopping for the right shoe. It is important that you select a shoe that suits your individual needs. This is why we have come up with the below-listed criteria for you to select the right Puma running shoe. Select based on use – You can find different Puma running shoes for different running activities. 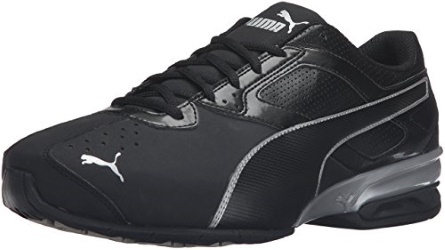 Puma’s wide range of shoes include ones used for training, others that are used for long runs and there are also ones that are meant for short runs. It is essential to make your selection based on the type of running activity for which you plan to wear that particular shoe. Look beyond the looks and sponsorship – Puma running shoes are aesthetically very pleasing and designed to grab attention. That might tempt you to go with the most fashionable Puma shoe endorsed by a famous athlete, but hold on. Although your favorite celebrities or some famous athletes had worn a particular Puma shoe, don’s buy a shoe just because of that. Many celebrities are known to sport the Puma brand and are sponsored by the company. However, it is good to consider other factors such as whether the shoe is easy to clean, has breathable upper material, and also its price. The width and size of the foot – It is common for runners to select a shoe from Amazon and then find it to be too narrow or too small for their feet. The Puma running shoes are divided into narrow and lesser narrow widths. It is good to know your size and width specifications beforehand so that you can order a shoe that fits you perfectly well. Finally, getting your hands on the right pair of running shoes is a great investment. Thus, it is essential that you pick a pair that is comfortable and meets your requirements. You can always count on Puma for high-quality and affordable running shoes. We hope you find a Puma running shoe from our guide that fits your needs and style.